Ohio residents enjoy a low cost of living; affordable housing; and manifold cultural, educational, and recreational opportunities. The state is a great place to live and to work, with several of its major employers receiving national recognition for providing excellent work environments. Ohio also takes education very seriously, as evidenced by both the number of education bills that appear before the floor of the House and Senate, and the number of citizens who cast their votes on educational measures. To reward their teachers, Ohio offers substantial benefits packages in their teaching contracts; and to help students, Ohio has enacted programs to meet the special needs of both the academically struggling and the academically gifted. The state is a great place to start, or relocate, a teaching career. What’s the education climate in Ohio? How’s the job outlook for Ohio teachers? What benefits do Ohio teachers have? 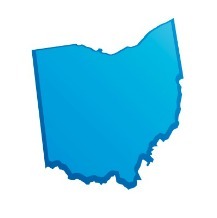 What are the credentialing requirements in Ohio? Education is extraordinarily important to Ohio citizens. However, different groups have contrary ideas about how the state should promote education. As a result, legislation regarding public education in Ohio is hotly contested, with many significant issues expected to be a source of debate for several years to come. But whatever direction is finally adopted, it is sure to be responsive to the will of the people, as a significantly higher-than-average numbers of voters go to the polls in Ohio. One major contest in 2011 involved the role and power of unions in public education. In March of that year a bill (SB 5) was signed into law limiting collective-bargaining powers, confining them only to matters of teacher pay (instead of allowing them to include teacher assignments, bell schedules, and other peripheral matters). The law also prevented employers from deducting union dues from teachers’ pay without permission, and freed teachers from being forced to pay dues to a union they opposed. Additionally, the law also eliminated automatic pay raises according to a step schedule, instead instituting merit-based pay raises. A veto referendum was immediately issued on this bill, and Ohio voters responded by repealing the bill in November. Another debate centered on the expansion of Ohio’s school-choice program. Ohio’s EdChoice scholarship program provides vouchers for low-income families to send their children to private schools if they believe their children’s needs aren’t being met in public schools. An additional scholarship program was established for autistic children, and others were proposed for any student who was on an individualized educational program (IEP). Success in these programs led legislators to propose offering vouchers to even more parents, including those who had better incomes. But questions about available funding, and ideological opposition within the House, set aside plans to make such an expansion. Meanwhile, people on both sides of the school choice debate continue to be active. The budget for 2013 also contains several contested portions. One provision regards creating a system of charter schools for gifted students. Another seeks to raise the minimum reading scores required for passing third grade; this measure involves some exceptions, adapted from experiences in Florida regarding a similar measure, so that no student will be held back on the account of “one test on one day” if they can produce other work that demonstrates adequate reading skills. Graduates of Ohio teaching programs can look forward to a good market. Ohio needs more than 3,000 new teachers every year, to replace retiring teachers as well as keep up with growth in school enrollment. Among all jobs in Ohio, high school teaching positions account for the 15th most job openings, with elementary school teaching positions coming in at 22nd. The state also currently reports teacher shortages in several areas, including visual and Performing arts, English and language arts, foreign language, mathematics, science, social studies, and special education. Ohio benefits packages are very generous, adding considerable value on top of teachers’ base salary. A new teacher who is married can expect health and dental coverage amounting to $14,000 a year, as many contracts throughout Ohio’s 19 school districts require schools to pay 90 percent of teachers’ health care coverage. Additionally, teachers in Ohio get 15 days of paid sick leave per year, as well as two to four paid personal days (depending on the district), meaning that they can take nearly one out of every 10 days off from work without any reduction in pay. In order to reduce the amount of teacher absences, many school districts have agreed to pay out some fraction of unused sick time as severance, at the rate of the teacher’s final-year salary. This means that healthy teachers can save their sick days in order to receive thousands of extra dollars upon retirement; there is no cap on days saved. Another benefit in many districts is teacher tuition reimbursement, to encourage teachers to continue their education. (Although by state law, Ohio teachers are required to obtain a master’s degree by their 14th year.) Higher education also results in higher pay, as salary is determined by a step program which increases teachers’ earnings according to educational attainment and years of service. In many districts, additional pay is given to teachers who obtain National Board Certification. Teachers also receive additional pay in many districts whenever their classrooms have more students than stipulated by their contracts. Finally, Ohio teachers receive a substantial retirement benefit, which they may begin collecting after 30 years’ experience—which can result in teachers retiring in their mid-50s. Several organizations in Ohio (see Ohio Teacher Organizations) are devoted to teacher development, and to providing educational resources to Ohio teachers. These organizations often publish and discuss research on teaching programs and techniques, and often offer classroom activities or curriculum supplements. In order to be licensed to teach in Ohio, you must complete a bachelor’s degree program followed by an approved teacher preparation program, including both a practicum (on-site observation of teaching methods) and a teaching internship (typically lasting from 10-12 weeks). Upon graduation, prospective teachers must demonstrate expertise in their grade or subject matter by passing the appropriate Praxis II examination. Ohio teaching licenses are on a four-tier system. The first license is valid for four years, during which teachers must complete additional requirements for the second-tier license. The five-year professional license may be renewed once, but in order to keep teaching beyond 14 years, teachers must complete a master’s degree program and perform their teaching duties at the Accomplished or Distinguished level, at which point they receive their tier-three Senior Professional Educator License. This license is also valid for five years. If teachers continue to perform at the Distinguished level while on this license, they obtain the fourth-tier Lead Professional Educator License. Additional details on the licensing and certification process for Ohio teachers can be found at the Ohio teaching certification website.